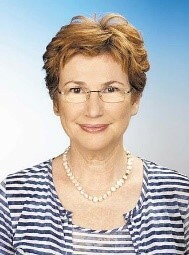 Yael German, Israeli politician, former Minister of Health. Ashkenazi (“German,” or East European) Jews are the majority of Jews in the world today. Hungarian Ashkenazim are among the most numerous. Confusingly, many have roots in the Khazars, who have been called the Thirteenth Tribe. The term Ashkenazi traditionally refers to Jews who established communities along the Rhine River in Western Germany and in Northern France in the Middle Ages. Later, the majority of the Jewish population is believed to have shifted steadily eastward, moving out of the Holy Roman Empire into the areas later forming the Polish-Lithuanian Commonwealth and including parts of present-day Belarus, Latvia, Lithuania, Moldova, Poland, Russia, and Ukraine. Ashkenaz does not mean Germany except by extension, however. The original lands of Ashkenaz were in Turkey and Armenia, as pointed out by Eran Elhaik. Ashkenazim focused on Hebrew, Torah and especially Talmud. They used religion to protect themselves from outside influences. The Jews at this time were largely middle class. By choice, they mostly lived in self-contained communities surrounding their synagogue and other communal institutions. Yiddish was the common language of Ashkenazi Jews in Eastern and Central Europe. Eran Elhaik (born 1980 in Israel) is an Israeli-American geneticist and bioinformatician. In the field of population genetics, Elhaik has published papers analyzing the ancestries of European Jews and Druze, including work related to the Khazar hypothesis of Ashkenazi ancestry, a contentious subject that has received media attention. Elhaik argues for a non-Levantine origin of the Ashkenazi and favors the hypothesis that they are of mixed Irano-Turko-Slavic and southern European descent. Hungarian – Ashkenazim represents 178 unrelated Ashkenazi individuals living in Budapest who were sampled in 2005 by the University of Debrecen, Hungary. Source publication: Analysis of the population heterogeneity in Hungary using fifteen forensically informative STR marker, FSI, 2006, p244-249.